Is ActiveYou a Scam? Read 4 Reviews! Prizes: Vouchers, gift cards, phones, holidays, etc. ActiveYou Exposed — Prizes and Spam Gallore! In the age of email marketing and advertising, there is a heap of companies that combine winning prizes with data mining. Is activeyou.co.uk yet another one of these sites or are you going to have a chance to win some great prizes? With tag lines like “Congratulations! 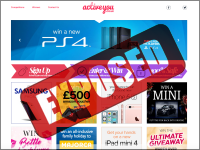 Your postcode must be lucky”, you’d think ActiveYou.co.uk would be a great place to win prizes – not. This is a data mining site where their goal is to collect your contact details to use you to view and review products. They are very clear that you are going to start receiving information and advertising. There is no way to figure the odds on winning as Active You states that the prizes might be offered through multiple websites. To win anything here you have to be 18 years or older and a resident of the UK. The form you complete to play asks for your email address, phone number and postal code – and date of birth. 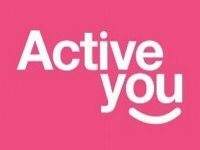 What Are the Prizes Offered by ActiveYou.co.uk? It looks like the bigger the prize, the longer the competition is open. Try for the Mini Cooper and you won’t find out whether you’ve won until January 2018. There are some prizes like the trip to Algarve, which doesn’t seem to have a close date. For smaller prizes like an iPad Mini 4, Kitchen Aid Mixer, supermarket vouchers and perfume, it looks like there is a draw the end of each month. There are great prizes, but at what cost? ActiveYou is owned by a company in the UK called Netperform Limited aka DigitalBox Netperform Limited aka Digitalbox Group family. Getting in touch with them, there is a snail mail address, online form and email address. There are no phone numbers or live chat. The first thing you should know is Active You states very clearly that the prizes may be offered through a variety of websites ‘at the same time’. They are also very clear that they are probably going to pass your contact details to ‘third parties’. That includes companies not only in the UK, but could include Canada, the US and other European countries. Yup – that’s the cost of winning. Draws take place 72 hours after the close date and are selected randomly by a computer. Winners will be contacted by email and have 14 days to claim their prize. They’ll send you instructions on how to get it. Ah finally a phone number is listed here. They say if you won’t respond to two emails, then they will give you a call. Active You says that you might have to check your spam as the emails could come in that route. Wow, I haven’t come across this many complaints in a long time. The two threads that kept coming up over and over again is the amount of spam you will receive and that it is impossible to unsubscribe. Several people also complained that they received an email saying they won, but then had to go through pages of adverting and steps. Is ActiveYou.co.uk Scam or Legit? There are quite a few sites that went so far as to suggest that it is fraudulent and not child safe. To me it simply looks like a data mining site where Active You wants your contact details so they can sell them on to other marketers. The complaints definitely focus on this. I made the mistake of giving one of these sites a shot and thankfully used a standalone email address. I go in once in a while just to see how much spam is coming in. This has all the indicators of another site like that. This site gets a thumb’s down. There are some great prize sites out there. I’d go play somewhere else. Totally scam, i was browsing on my phone and spinning wheel pop out, did 1st spin, 2nd spin won i-phone 7 “really?” So i was following instructions to fill my details and gess what, read terms & cond. Then phoned in Bath and spoke to the guy (not British), how to claim the price from spinning wheel i won, he didn’t have a clue, just follow instructions on the screen. So went back on the link and spotted that ones you subscribe, they will charge you for every txt you receive £ 1.50! So deleted all my details b4 subscribtion! Finaly, don’t be fool, or pay for it with your stupidity! It will cost you ££££ and miserable life! IT IS SCAM!!! !